January 28, 2019 By This post may contain affiliate links. Looking for some amazing Super Bowl Food ideas? I’ve got you covered! 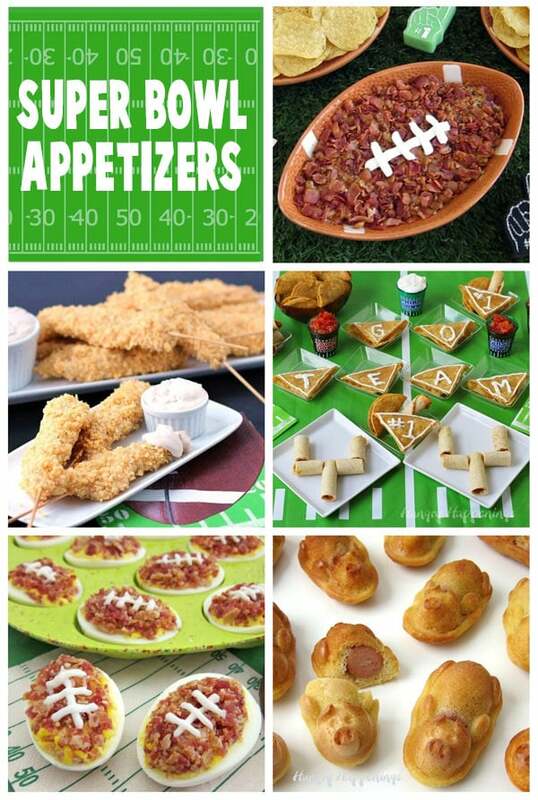 Check out these really festive and incredibly delicious Super Bowl Appetizers and football themed desserts. Do you love watching the big game and cheering on your favorite team or do you just love hanging out with friends eating Super Bowl food? I’m in the food camp myself. I love making it and eating it! It’s amazing to think that I have shared over 50 Super Bowl food ideas with you over the years but I am not a big fan of watching the game. You’d think with all that football themed food that I was a raving football fan, but I just find creating football themed food to be really fun and easy. I also share a lot of Super Bowl food ideas with you because Super Bowl Sunday is the 2nd largest food holiday (or occasion) in the United States, second only to Thanksgiving and it is the busiest holiday for snacking on tasty appetizers! 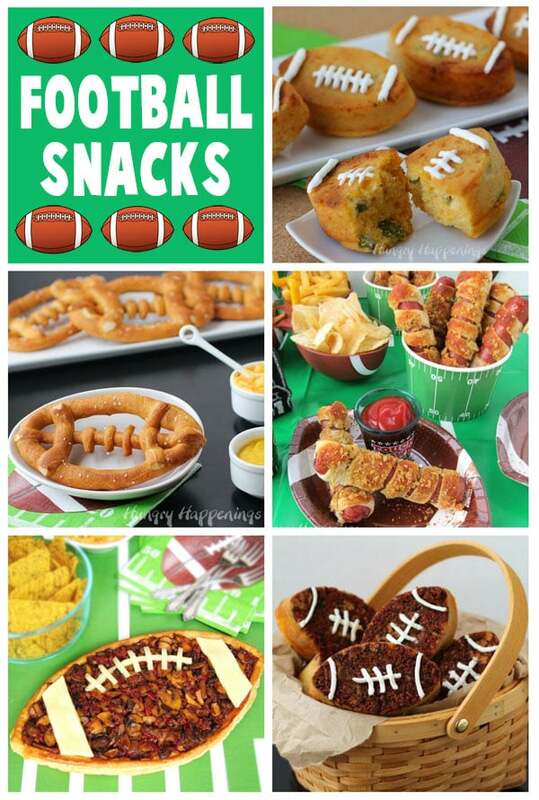 That’s a lot of snacking and I have some really fun ideas for your Super Bowl party. Let’s start with finger food. These snacks are easy to eat with your fingers and are great if you have a big crowd at your party but little sitting room. 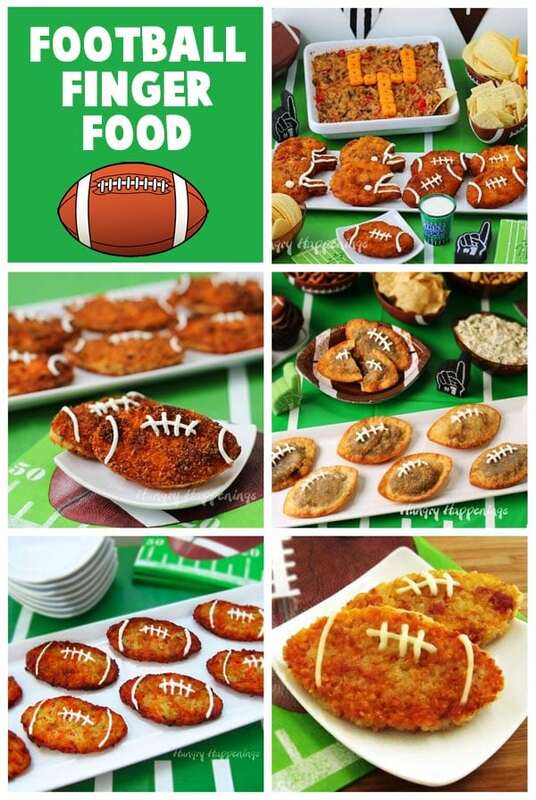 Each of these appetizers just happens to be football shaped too so they can definitely be the focal point of your table. Having at least one really fun looking snack on your Super Bowl party food table will really make the table look festive. As you scroll down this list of party food ideas I hope that one or more really grab your attention. If a recipe can jump off the page at you then imagine what it can do when it’s actually prepared and sitting on your food table. These recipes can be served plain or with a dipping sauce. See the recipes for more details. Super Bowl Party Tip 1: Line your food table with a football field table cloth. The football field design is bright green so brown food looks really good up against it and you’ll notice as we go through all these fun Super Bowl recipes that much of the food is brown. Use a plastic football tablecloth for easy clean up. There will always be spills and you can wipe the plastic table cloth clean and allow it to dry to use again for another party. 32% of all Americans say they will eat some kind of dip on game day so you definitely want to have some yummy dips for your Super Bowl party guests. 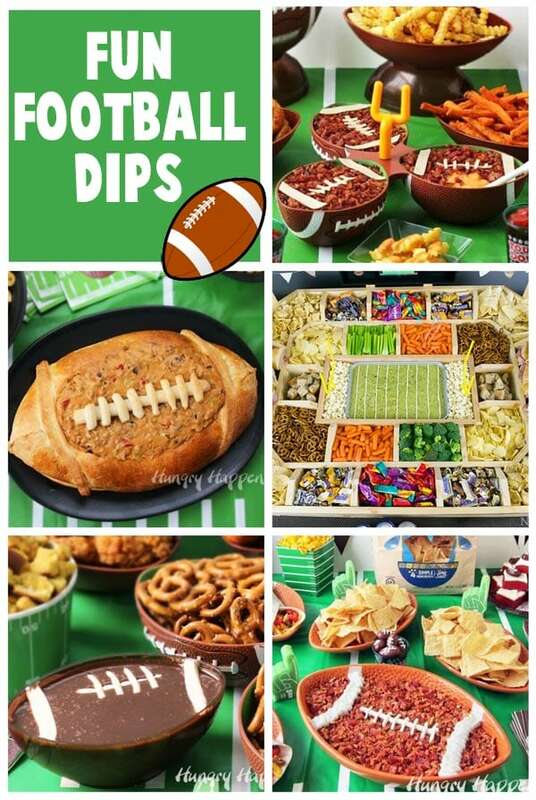 Dips are so easy to make that you can spend just a few extra minutes to make them look like footballs or a football field for your party. It’s as easy as adding some laces and stripes to your dips using cheese, sour cream, or cream cheese. 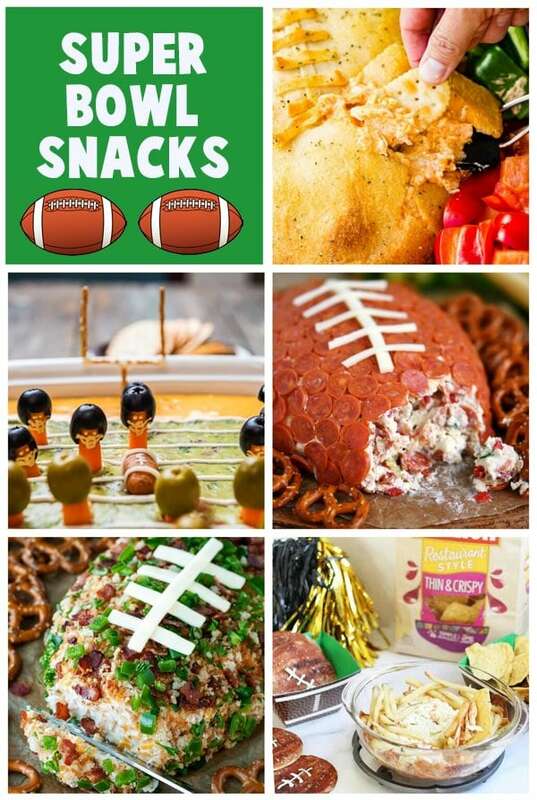 Here are some really fun football themed dip recipes. Super Bowl Party Tip 2: Serve a variety of dippers with your dips. Pizza, burgers, and fries are really popular snacks at a Super Bowl party but they don’t have to look ordinary. 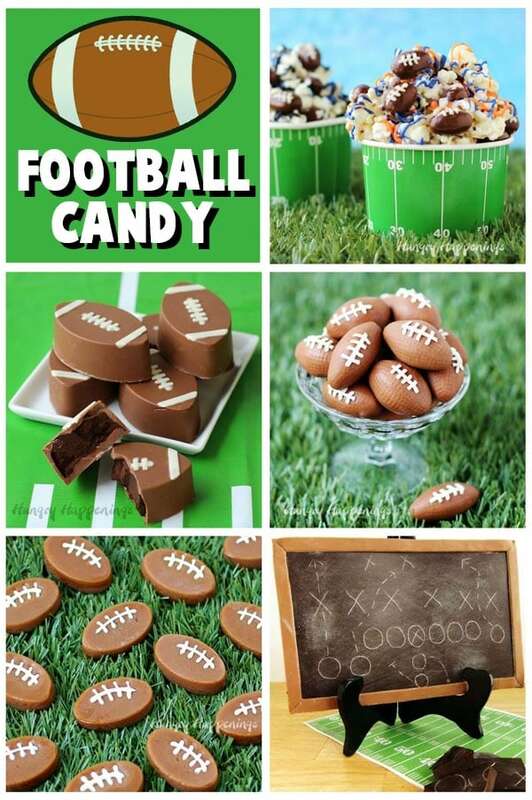 Instead you can turn them into fun football shaped snacks that your party guests will cheer for! Super Bowl Party Tip #3: Make football shaped snacks. It’s important to not only have savory snacks but to also have fun desserts on your Super Bowl food table. Each of these sweet treats will look amazing on the plate and they taste great too. While a shaping food into a football is really easy, you don’t just have to stop there. You can create football fields, jerseys, and helmets too. Super Bowl Party Tip #4: Use some Astro Turf to add a festive touch to your room. You can find turf at craft stores and home stores like Lowe’s and Home Depot. You can use it to cover a table or place it on the floor with some footballs set on it for a decoration. I’ve used it many times when photographing my Super Bowl food. The turf is plastic and can be wiped clean. If something spills, just run hot water over top to remove the spill then allow the turf to air dry for a few hours. 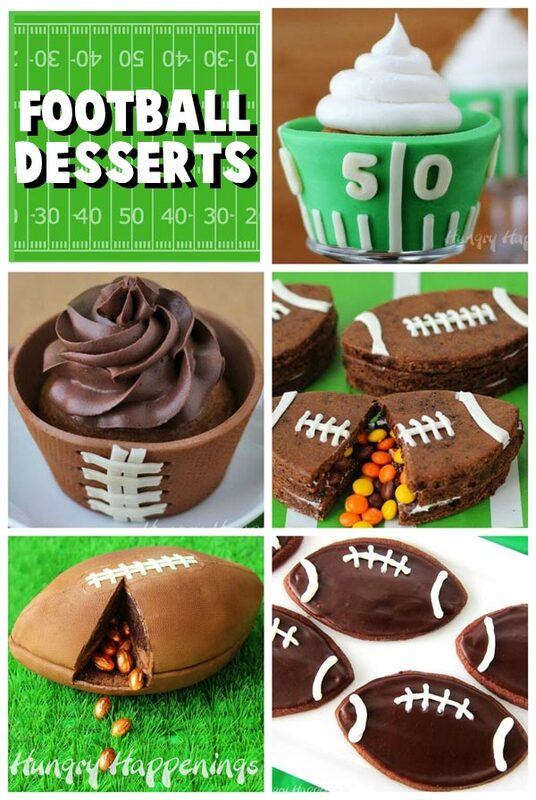 Super Bowl Party Tip #5: Serve candy and snacks in football shaped bowls. You can find inexpensive bowls at dollar stores and nicer bowls at party supply stores. I have a really cool bowl that has three footballs attached with a goal post in the middle and several large football snack bowls that I love filling with snacks. If you want something really amazing for on your table you can get an NFL Snack Bowl. It’s shaped like a helmet and comes with your favorite NFL team decal. There are also some amazing hand carved serving trays shaped like footballs, helmets, and stadiums that would look really incredible on a food table. They also make wonderful gifts for football fans. 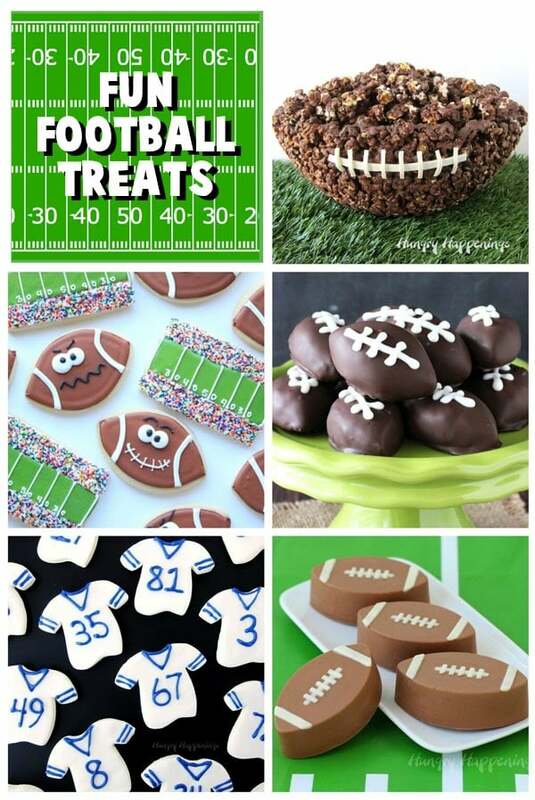 You can go all out and make a piñata style cake or cookies for your game day party guests or just make some frosted football cookies. Take your cupcakes to the next level by wrapping them in edible cupcake wrappers that are made and decorated using modeling chocolate. The entire cupcake is edible making it a really filling dessert. 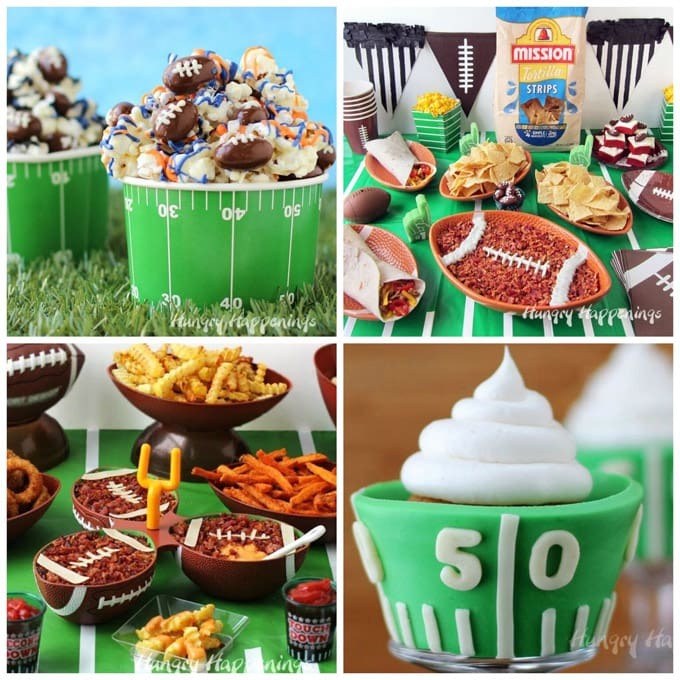 Super Bowl Party Tip #6: Use toy footballs and tiny foam fingers to decorate your food table. I love tossing some small footballs on my table. It’s a super simple decoration. I also have a few tiny foam fingers that I place around my table. They look so fun! If you have any football memorabilia or decorations, dig them out of your closet and use them to make your table look really festive. It doesn’t take much time or effort to make your food table look like a winner! I have some pennants that I like to hang on the wall behind my food table. Celebrate your favorite team by hanging their pennants or posters behind your table. Turn ordinary recipes into something a little more festive for a game day party. A soft pretzel or some jalapeno cheddar corn bread shaped like a football will make your food table look extra special. Baskets filled with Bacon Cheddar Football Bread would be easy to bring to a tailgating party too. Super Bowl Party Tip #7: Have plenty of football themed napkins and paper plates for your party guests to use. Even if you don’t want to go all out and decorate your table, by simply placing football napkins and paper plates around your food you will make your table look festive. It really doesn’t take much to pull off a football themed food table. No party is complete without some meat and cheese which can be served in a variety of ways including cheese stuffed pretzels, meatball lollipops, and a gooey cheesy skillet dip. Super Bowl Party Tip #8: Keep appetizers hot using chafing dishes, warming trays and slow cookers. You can use ordinary chafing dishes, warming trays, or slow cookers but if you want your hot cheesy dip or spicy chicken wings to look really amazing keep them hot in a Football Shaped Slow Cooker or a football field slow cooker. 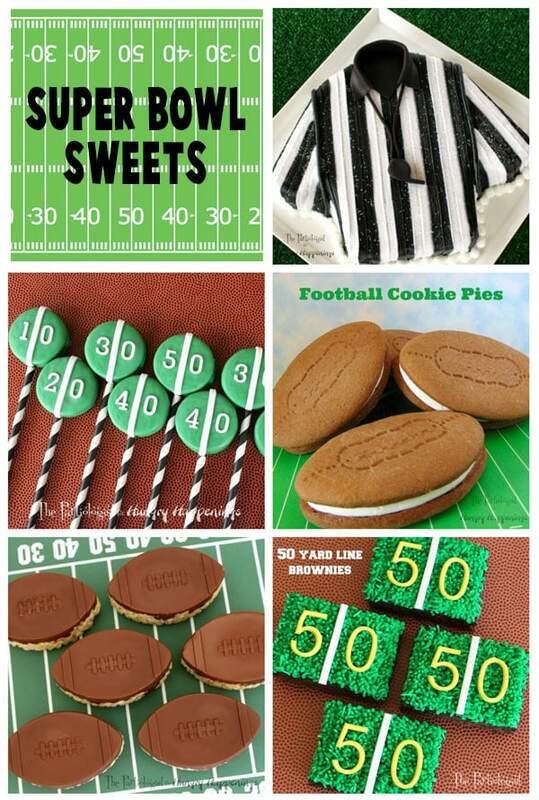 These are must haves if you love to have friends over to watch the big game. A party is not complete without appetizers and deviled eggs, chicken fingers, and pigs in a blanket are very popular options. I have some fun ways of making them even more special. Super Bowl Party Tip #9: Keep drinks and food cold in an inflatable buffet cooler filled with ice. You can find inflatable buffet coolers that look like football fields. There are even inflatable football field coolers that have goal posts on the ends. Nestle bottles and cans down into the ice in one inflatable and keep food in another. People will grab the drinks disturbing the ice and you don’t want trays of chilled deviled eggs or veggies & dip to spill out into the ice. 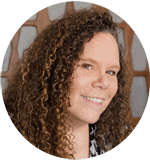 My friend Kim, The Partiologist, created some decadent Super Bowl Sweets to share with you all here on Hungry Happenings and on her own blog. Her Referee Cake will make an incredible centerpiece for any table. Super Bowl Party Tip #10: Have plenty of tongs and serving utensils. Many people really get grossed out when people are touching their food so be sure to have tongs and serving utensils for your guests so that no one has to touch anything on the table with their hands. 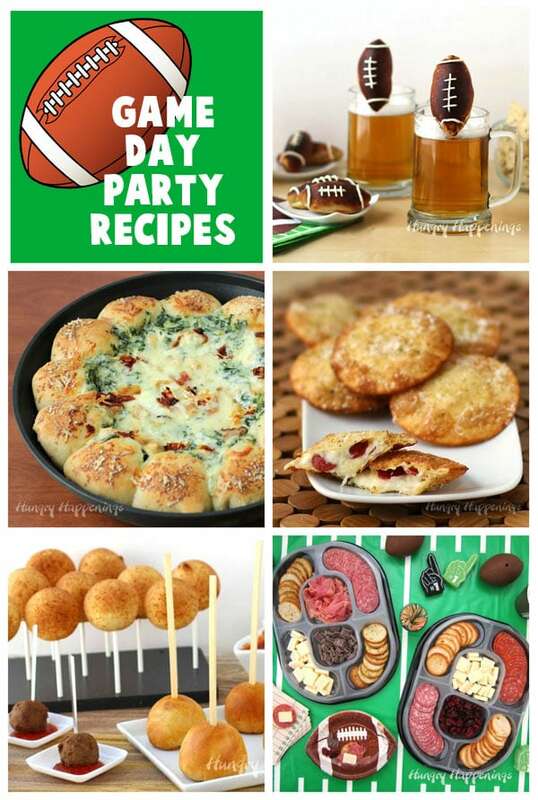 I’ve made and shared dozens of fun super bowl recipes with you but there are so many more recipes from fellow food bloggers that would be great to make for your party too. Super Bowl Party Tip #11: Be sure to have plenty of food. I mentioned before that people eat almost as much at a Super Bowl party as they do on Thanksgiving so be sure to have lots of hearty food. The game alone lasts for several hours. Then there’s the pregame show and the after game show. Your guests might linger at your party for many hours so you are going to need a lot of food!!! Don’t put all your food out at once. Be sure to have extra platters of food in the fridge or place an order for pizza and wings to arrive at half time. These recipes aren’t specifically themed for Super Bowl but they would all definitely be great additions to your menu. 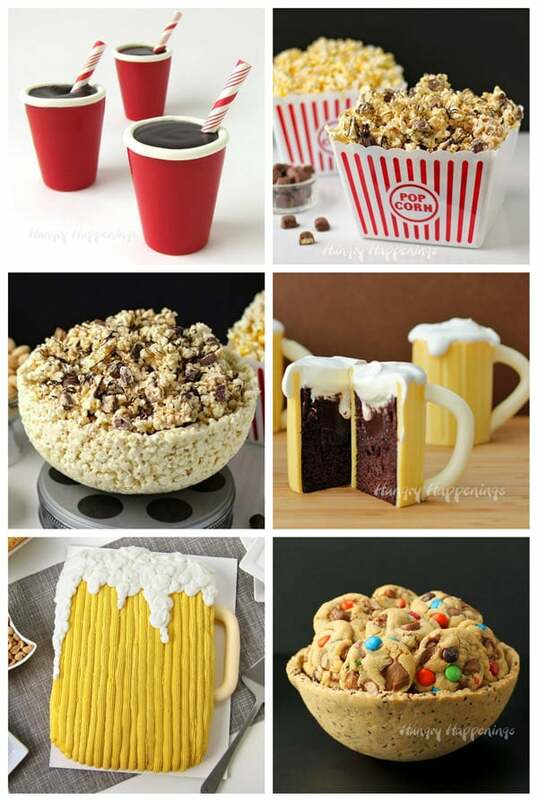 The beer cakes and red solo cup truffles are quite appropriate for any game day gathering and the bowls made out of popcorn or chocolate chip cookies would be a huge hit at any party. Super Bowl Party Tip #12: Have fun! Don’t work so hard that you can’t enjoy your own party. Even if you don’t watch the game, be sure to relax and enjoy the company of your party guests. 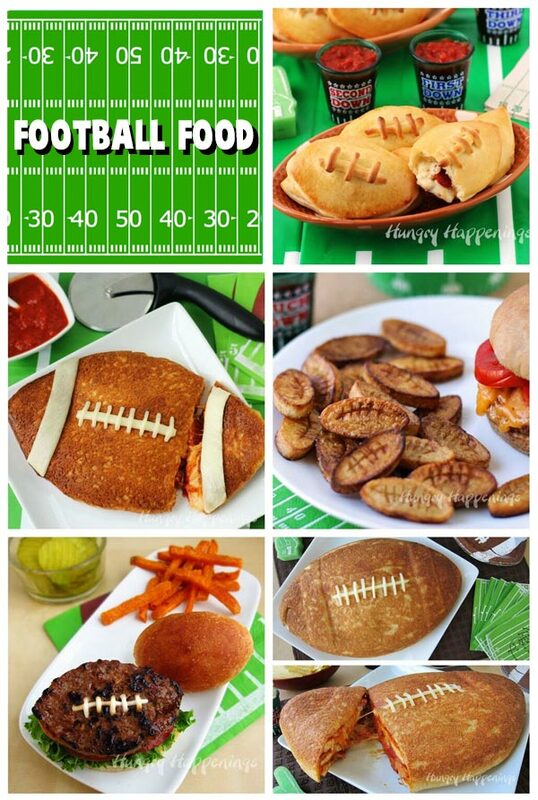 What fun football themed food do you plan to make for Super Bowl? Fun food for parties and special occasions. Cuz I love being in my kitchen creating festive food more than sitting on a cold hard bench at a game. P.S. Sign up for my newsletter and get your FREE amazing printable here! Thanks, Lisa. I was pretty excited to see the pictures all together. I really didn’t realize I had created so many Super Bowl foods over the years. The funny thing is that I have never actually hosted a Super Bowl party but I do have friends over to enjoy my food and watch an occasional football game.